This all-in one pro disco stand is the ultimate stand for your DJ-equipment. It's easy and quick to set-up. 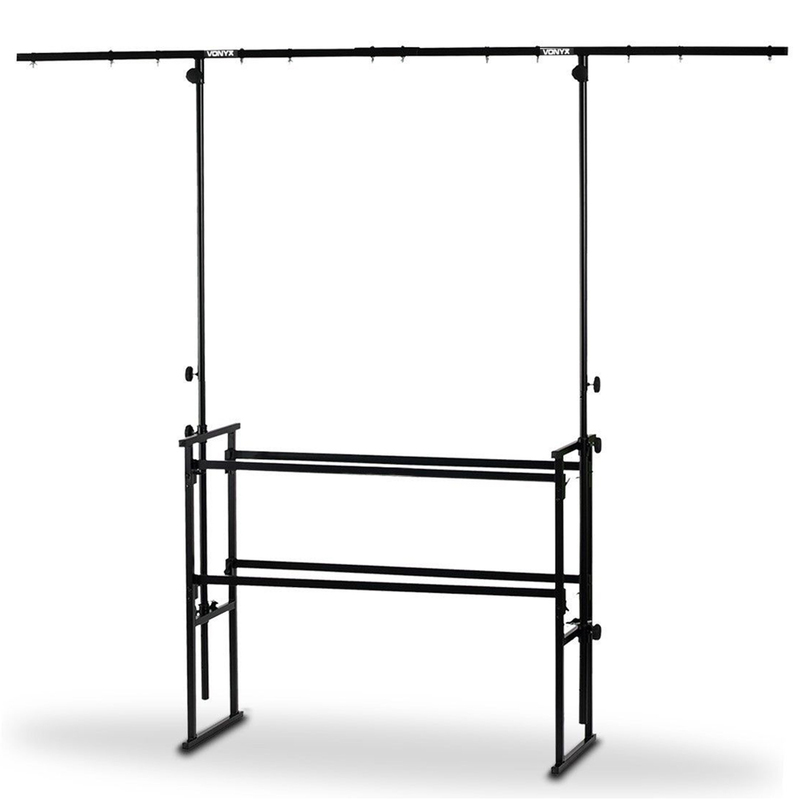 The rails provides enough space for your DJ-equipment. 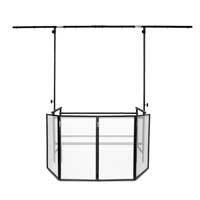 The top rail is on an ideal working height, so perfect for placing your DJ-set. On the bottom rail you place other equipment like amplifiers, equalizers and more. 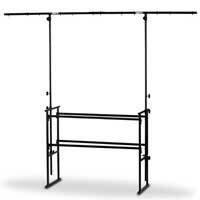 The overhead T-bar with adjustable height provides enough space for several light effects.